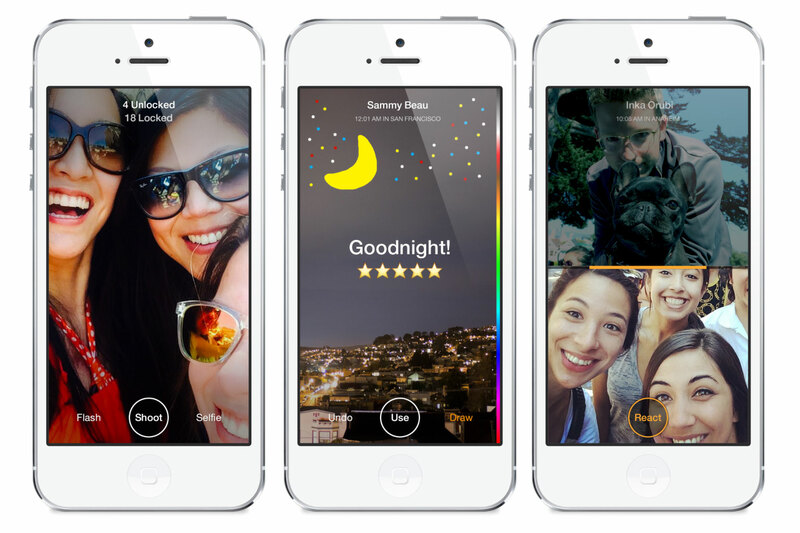 Last Monday, the accidental launch of Facebook’s (s fb) newest app gave users a sneak peek into Slingshot — which appeared from photos to be an extension of its previous ephemeral messaging app, Poke. On Tuesday, users will finally get to use the app, developed Facebook Creative Labs, as it rolls out in the U.S. to both iOS (s aapl) and Android (s goog). The second Creative Labs app to be produced after Paper, Slingshot is a lightweight app that actually has very little traditional “Facebook” design cues. Users can choose to sign up via Facebook or simply by phone number, and begin sending “slings” — ephemeral photos or video — to friends in your contact list. From there, the mechanics work very similarly to apps like Snapchat or Taptalk: Users take a photo or a video, add text or drawing, and send it off to friends. But the Creative Labs team insists that Slingshot isn’t like those other ephemeral messaging apps — in fact, the team said it’s not ephemeral messaging at all. They point to the fact that Slingshot requires participation from users in order to get the slings their friends have sent — sending a sling to a person will unlock all of the slings they’ve sent. In that way, the app encourages users to send one sling to many people, and then reap the latest slings in a feed. This one-to-many transaction is something the team refers to as an “ephemeral feed” of content rather than just plain messaging. See how it works in the video below. One of the most interesting features about Slingshot is the ability to “react” to other friends’ slings. Users simply tap the react button and send a picture or video immediately back to the friend who send the original material. These slings are always unlocked from the get-go, and users can also look back at the content that caused the reaction. Slingshot might read to many as too similar to other ephemeral apps out there, especially if they’re not interested in communicating with every single friend at once. But, it does do an effective job of communicating to many people in a simple way — almost like a photo or video version of a traditional Facebook status.